It looks like 2017 is going down as the best year for the housing market in the last decade, at least so says Freddie Mac. 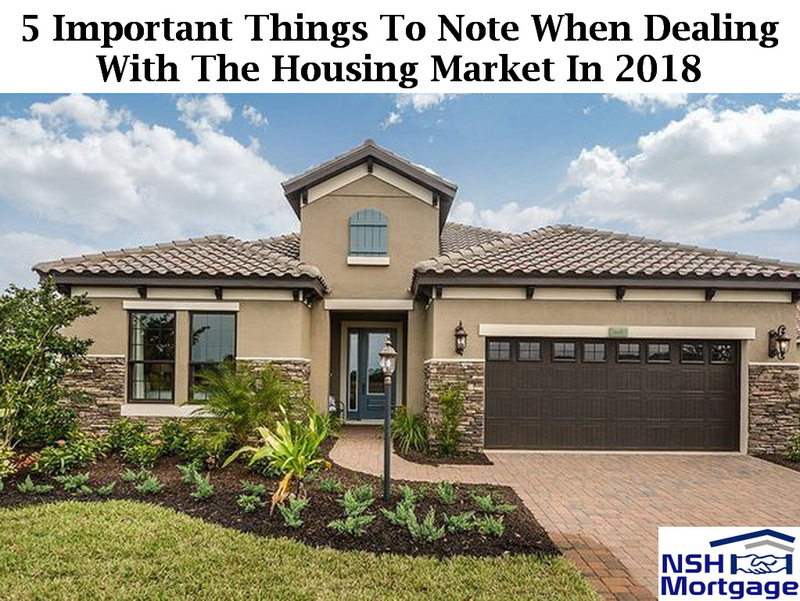 Five factors to note when dealing with the housing market in 2018. NSH Mortgage has the wisdom and tools that can help you stay ahead of the housing market. The mortgage and the housing market are on track for their strongest 12 months in recent memory. Thanks to a favorable economy, low rates and strong job growth, the housing markets has seen big growth this year. Furthermore, with improving construction starts and increasing home sales are just a few of the successful markers of 2017. We now expect 1.2 million housing starts and 6.13 million home sales for 2017, the GSE reported. Despite, with the disappointing other half of the year, both numbers are still on track for the best year in a decade. The year also saw near historically low mortgage rates, which hovered around 4.0% for most of 2017. Total mortgage origination for the year is expected to hit around $1.8 billion, about $80 million higher than last year. According to Freddie’s report, starts and sales will continue their upward trend over the next few years. Also, you should expect that with the start of 2018 and well into 2019 that the sales are going to increase. Thanks to the housing construction gradually picking up and helping to supply more homes to inventory starved markets. Sean Becketti, Freddie Mac’s chief economist, says interest rates will also remain low next year, and improving construction could drive home prices downward. Additionally, there are forecasts for interest rates that will remain low by historical standards, but gradually creep higher over the next two years. Also, there are forecasts for the housing construction which will gradually pick up, helping to supply more homes to inventory starved markets. More housing supply and modestly higher rates will lead to a moderation in house price growth. Home prices finally appear to be on the downturn, at least slightly. According to the National Association of Realtors, the average price of an existing home dropped to $247,000 in October. Since June, when prices hit their 2017 high of $263,300, existing home prices have fallen more than $16,000. Although, NAR’s data shows prices dipped less than a full percent last month, even the smallest down-tick can mean good news for buyers, especially in today’s competitive marketplace. As cash strapped would be buyers are well aware, every little bit helps, NAR reported. Existing home prices fell in every region of the country accepts the West, where they inched up just 0.48%. The South saw the biggest price drop, with a decrease of 1.1% since September. It seems buyers may be taking advantage of the lower prices, too. NAR’s data shows home sales rose 2% from September to October. Monthly closings were also up for the month, though both the South and Midwest saw downturns of 1.8% and 1.5%, respectively. Still, it is no cause for alarm, NAR says. The slight drop in the South may be due to Hurricanes Harvey and Irma, which hammered the Houston area and much of Florida and paused many sales temporarily. Lower prices aside, according to NAR Chief Economist Lawrence Yun, a better employment market is also helping matters. Job growth is starting slowly to push up wages, which in turn, gives households added assurance that now is a good time to buy a home.